At EverLine, we install all types of signage for parking lots and properties. We also install a wide variety of bollard covers. Ensure that safety and the rules of your property are enforced with our sign and bollard installation services. Signage and visibility are a crucial element of parking lot safety. 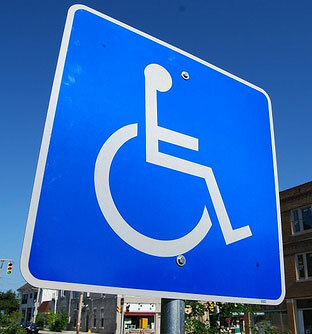 Parking lots and properties need signage for things like crosswalks, handicap stalls, no parking stalls, loading zones, and many other things. Having the proper signage in your lot will ensure the safety of the people using your lot as well as enforce the rules of your property. At Everline Coatings and Services, we can install any type of signage your business needs, where you need it. Our crews have expertise and tons of experience installing all types of signage. In addition to signage installation, we also install bollard covers. Once you’ve had bollards installed to protect elements of your property, they need to be covered with a reflective material to ensure that they stand out and nothing runs into them. Bollard covers are a great way to ensure that they are noticed by the users of your parking lot or property. At Everline, we can supply your business with all different sizes of bollard covers as well as customize them to give your property the look and feel that you want. At Everline, we strive to operate according to three key values that differentiate us from our competition. Sticking to these key values is what enables us to offer services that are unmatched by our competitors. Every client of ours receives the highest quality of work. We work with your schedule and we’re always there when you need us. This level of customer service and commitment to our customers has us at the top of our industry. At Everline, our extensively trained crews are ready to handle all of your sign and bollard cover installation needs. When an Everline crew arrives at your property, rest assured that you’re getting a highly trained team of installers to get the job done. You can always trust the crews at Everline Coatings and Services to do a quality job with results you will be happy with. To ensure your bollard and sign installation project is completed in a timely and efficient manner, we have a few steps you can take before our crew arrives. First, please clear the areas that installation will occur of any obstacles or debris. This will ensure the safety of our crew and that the installation will be accessible. Also, please ensure you notify the users of the property that installation is occuring to ensure the safety of our crew as well.